Outbound Call Routing determines how the calls being dialed will route to the agents. The Admin can set it up so that all calls will be distributed evenly to the agents, be based on which agent is is waiting longest, route calls based on skill level or can distribute the calls randomly. Click Call Routing Settings Tab. Random – the system will distribute leads to agents in no particular order. Evenly Distribute - the system will try to distribute calls evenly to all agents logged in. Agent Waiting Longest – the system will route the next leads to the agents who are waiting the longest. Agent User Level– agents with higher User Level will be the priority to receive call over agents with lower User Level. Agent Campaign Skills – calls will be distributed based on the assigned Campaign skills of agents. 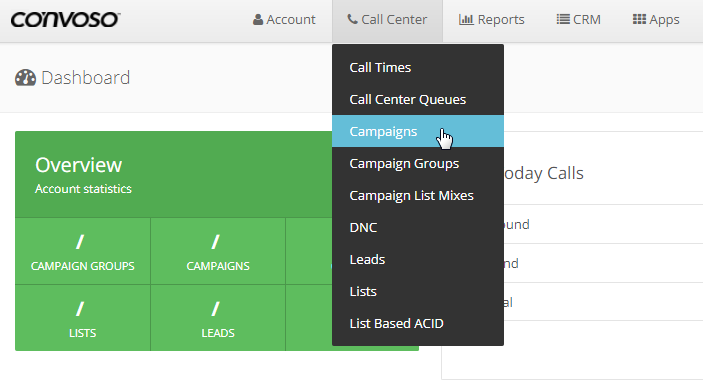 Fewest Campaign Calls – the system will route the next leads to the agents who have less calls compared to others.